Being in a family with 2 dogs, I always love reviewing pet products. Lets put it this way...my babies are just a tad spoiled! Mr. Chewy is an online retailer of pet food and treats and offers 70+ brands on their site. The selection was almost limitless. You may be thinking 70+ brands? Why brands are these? Well, I can tell you that they have a good selection of high quality brands like Royal Canin, which is what I'm currently feeding my pup. Lol, it's good but at the same time bad because JR loves stealing baby brother's baby kibbles. The prices were comparable to the local NYC pet stores which was nice. My favorite part was that with $49 purchase, they offer free shipping. Even better because I don't have to lug heavy bags of pet food home. Mr. Chewy also offers subscription based ordering. 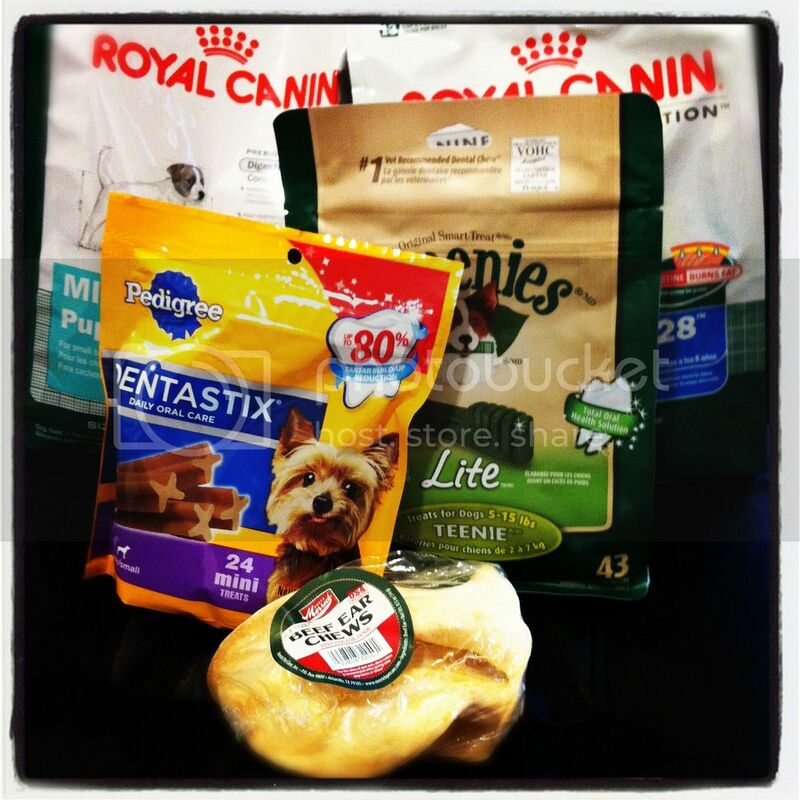 With a $50 GC, I was able to pick up a couple small bags of Royal Canin dog and puppy food and some dental chew bones. If there's something to be impressed with, it's their quick packing and shipping time. I ordered sometime in the evening one night and the next day, it was already shipped out. The day after that, I found a box at my door, literally 2 days after I placed my order. What I was not so impressed about was the lack of description on the product pages. I'm not that knowledgeable on the different dog food types I hadn't purchased in the past so it would've been nice if the product details were listed. Instead, I had to research the products myself. If they add that to their site, it'd be awesome! Buy It: Shop online at Mr.Chewy for your pet needs. Use WHIRL2866 for 10% off your first order AND Mr.Chewy will make a $10 donation to an animal charity! Note: I do not receive anything from this code. I'm just happy that animal charities will be helped. Win It: 1 Whirlwind of Surprises' reader will win a $50 GC to Mr. Chewy for themselves. Come back to enter the giveaway! Make it easier on yourself by showing the sponsor some love now:Like MrChewyPets on facebook. Follow @MrChewy. Hi How do I enter the giveaway? @Kimberley, the giveaway isn't live yet for this event. I'm going to be reviewing several other pet products and do the giveaway for all of them at the same time. :) Look forward to it! I would love to win something from Mr.Chewy. I like that they have sooo many great brands to choose from. Would love to try some of their cat treats with my kitties! Great site, thanks for the review! I reviewed Mr. Chewy as well. They are awesome! Thank you for the review on this site. I love the fact that they have subscription based ordering. Makes it easy and you don't have to worry about running out of food. I'm like you on the lack of descriptions. I'm not sure about all the products so the descriptions would be nice. Regardless, anything from this site would be great. I like that they carry the Friskies that my cat, Gigi, likes. Subscription would be good since I know how often I need the food. I'm so excited you told us about this site. Thank you!!! Love the convenience of online shopping and great to hear about their fast shipping too! I've ordered from Mr Chewy, and was completely amazed at their super fast shipping!